The Cannon County Sheriff’s Department was dispatched to 313 Hayes St. in Woodbury about a violation of an order of protection that Deputy Jordan McGee had served on June 19 and left the residence at 1:21 p.m.
Officers were dispatched back to the residents at 1:25 p.m. When Sgt. Lowell Womack of the Woodbury Police Department arrived he spoke with Tommy Merriman, who stated hat a deputy had just served an order of protection on Clay Adams and Tequilla Miller and they were advised to vacate the residence and stay away. Merriman stated Adams and Miller too some belongings and went to 317 Hayes St. to stay. Merriman said after the deputy left Miller returned and was cussing, wanting her cigarettes. Sgt. Womack and Deputy McGee went to 317 Hayes St. to speak with Miller. Miller said she did not go onto the property she stood in the driveway of the home next door and asked for her cigarettes. Miller was advised by Sgt. Womack she was not to have any contact with Merriman or be near the residence. Miller said she did not understand that. Sgt. 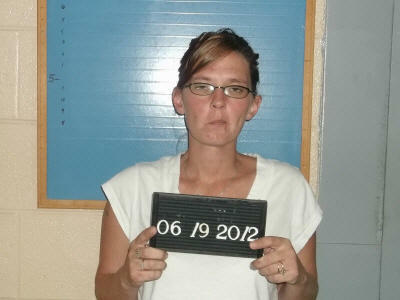 Womack arrested Miller for Violation of an Order of Protection. Bond was set at $2,000. Initial court date is July 17.